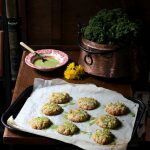 These delicious and easy biscuits are a fun way to use Romanesco! 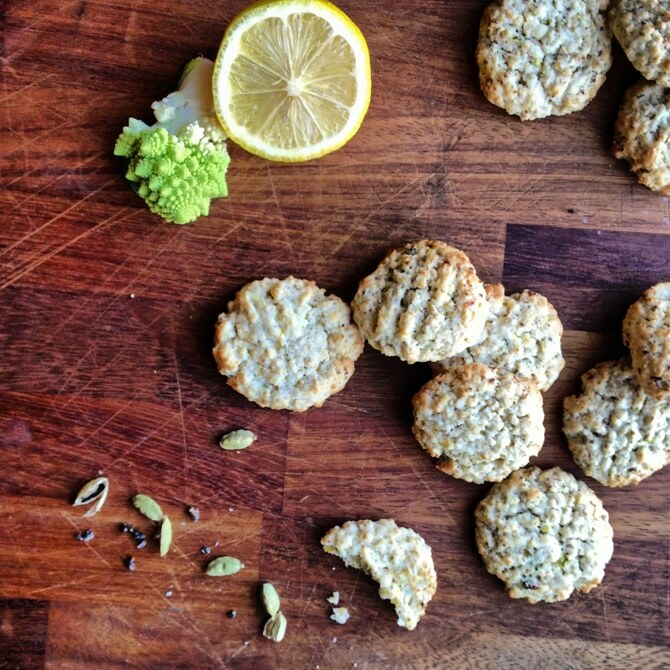 The brassica is a bit like a cauliflower/broccoli and has a pleasant nutty taste – perfect in cardamom cookies! I’m always intrigued by romanesco, the green, spiky cross between a broccoli and a cauliflower. Here I’ve added it to lemon cardamom biscuits, which compliment the mild, sweetly nutty taste of the vegetable. They are difficult to come by when they’re out of season, but cauliflower can be substituted in this recipe if you can’t find one. Farmers markets are once again starting to be piled high with this psychedelic-looking vegetable. Those bizarre, mesmerizing spikes and that lurid yellow-green colour always beckon me. One of those vegetables that you can only buy in season (late summer to early autumn – stock up now! ), these brassicas taste like cauliflower – mild and nutty – and can be cooked in the same way. Sometimes called Romanesco Broccoli and sometimes Romanesco Cauliflower, you can steam, boil or bake it. You could grate it to make cauliflower rice, make it in cheese sauce, or, as I plan to do next, segment those crazy spikes, toss them in miso paste and roast them in the oven. Preheat oven to 180C/350F. Line a baking tray with parchment. Finely grate the Romanesco or whiz it in a food processor until it resembles fine crumbs. 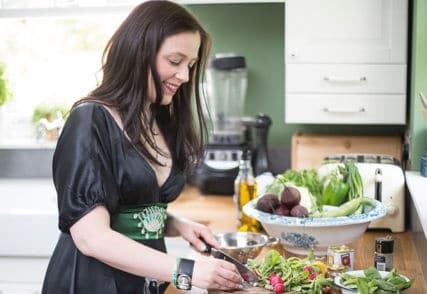 Heat it in the microwave, or in a dry pan on the stove, for 2 minutes to dry it out slightly. Allow to cool. Cream the butter and sugar with an electric whisk until light and fluffy. Add the lemon zest and juice and mix well. Stir in the romanesco, oats, flour and ground cardamom and combine. Roll the batter into balls, place on the prepared baking tray and press down lightly with a fork. Bake for 10 minutes or until golden. Cool slightly on the tray and then cool completely on a wire rack. Try these other unusual cookie recipes! I don’t think I’ve ever cooked with romanesco, let alone put it in biscuits! These sound really yummy. wow wow wow. You are a ruddy genius, Kate. This is so clever. Beautiful images and totally intriguing idea. 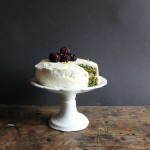 Love anything with cardamom as well. 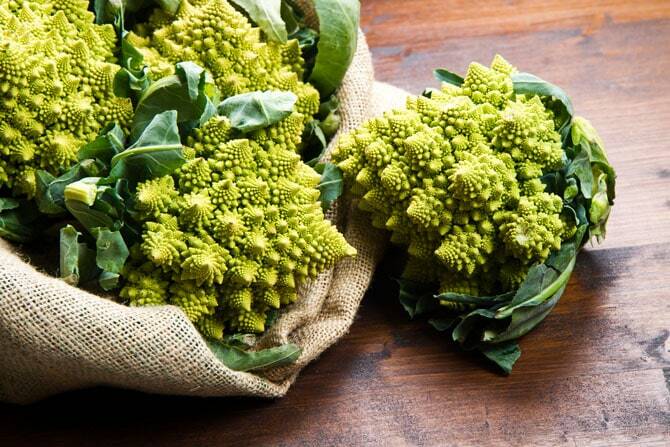 I love romanesco, or fractal cauuliflower as we call it! Beautiful cookies and a great use of it. Would never in a million years have thought to use romanesco in cookies but I bet it works beautifully! I am very intrigued by your baking! Never in my life would I think to combine these ingredients in a cookie but they look fantastic. Yummed! Such a pretty vegetable! 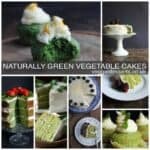 never baked with it though – very interesting recipe! 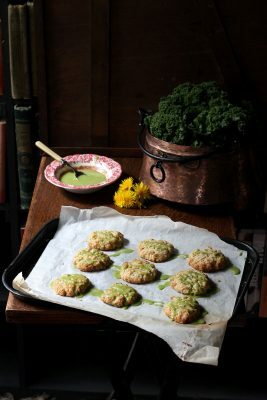 Oh I’d never have thought of romanesco in biscuits!! !